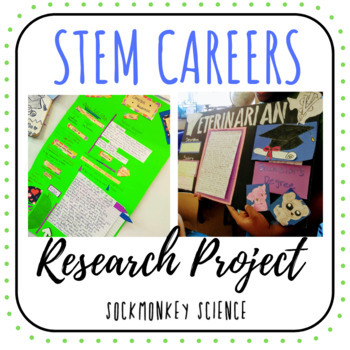 Help your middle school students get ahead with this career focused research project. Perfect end of the year project! Guidance and Counseling or Middle School Science. Students will choose a career of interest and learn about the diverse range of occupations available as they graduate high school or college. Students will also discover how Science, Technology, Engineering and Mathematics (S.T.E.M.) influence almost every career choice! Objective: Find a career of interest, research the education and training to get there, and describe how that career incorporates S.T.E.M. ***PLUS an editable version of the resource sheet to add your own state specific resources.